Leafy green spinach is loaded with an army of beneficial nutrients to protect the body from cancer and disease. Spinach has 13 flavanoids that help to fight cancer, protect against age related memory loss, and prevent heart disease. 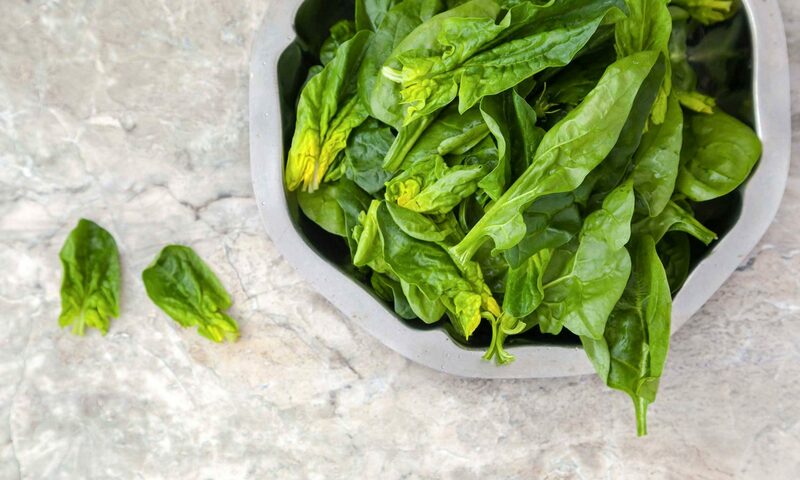 The magnesium in spinach helps to lower high blood pressure and protect against heart disease, while vitamins C and A also benefit the heart by preventing cholesterol from becoming oxidized in the body. Spinach also contains vitamin E that may help slow the loss of mental function, and vitamin K that helps maintain bone health. Just a small amount of nutty browned butter is needed to coat the gnocchi and distribute enough flavor to keep this superfast pasta dish below 300 calories. Add chopped cook chicken breast for additional protein. Bursting with vitamin C from the superfoods tomato and spinach as well as heart-healthy olive oil, this simple sautéed snapper makes a flavorful and easy weeknight dinner. Mediterranean flavors like feta, sun-dried tomatoes, fresh lemon, and oregano highlight the creamy spinach filling. Make sure to squeeze out any excess moisture from the spinach before combining with the other ingredients. The filling can also be used to stuff chicken breasts or pork tenderloin. Your guests will never know that this indulgent, cheesy, and warm appetizer is chock-full of beneficial nutrients. Vitamin C, magnesium, and fiber from the spinach and artichokes help to fight heart disease and lower blood pressure. This one-pan, meatless breakfast uses egg substitute instead of whole eggs to keep the cholesterol, calories, and fat to a minimum while maintaining the flavor. Spinach, onions, red bell peppers, and potatoes provide an array of vitamins and minerals and give the frittata a hearty texture. Spice up this quick dinner with sautéed pork medallions marinated in hot chile sauce. Top baby spinach and Napa cabbage with the pork for a satisfying dinner that rounds out at only 202 calories. Similar to a calzone, this stuffed focaccia is loaded with calcium and magnesium-rich spinach. Serve it to your little ones or anyone wanting to build strong bones. Enhance your brainpower with a side of flavonoid-rich spinach. Studies have found that spinach helps to protect against age-related memory loss. Pair with baked salmon for a double dose of brain-boosting nutrients.